Sergei Witte was now ostracized from the Russian establishment. In January 1907 a bomb was found planted in his home. The investigator Pavel Alexandrovich Alexandrov proved that the Okhrana, the tsarist secret police, had been involved. 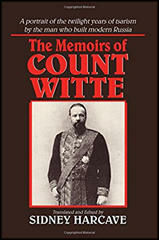 Witte continued in Russian politics as a member of the State Council but had little power and used his time to write his memoirs. 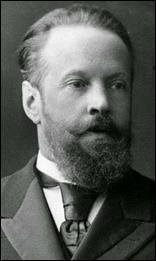 Sergei Witte died of a brain tumour at his home in St. Petersburg on 13th March, 1915. Sergi Witte... was probably the most competent minister Nicholas II ever had... Extremely shrewd, Witte had climbed over a number of people on the way up, and it is a testament to his abilities that he did so while married to a Jewish woman who had been divorced. He had a curious social problem in that he had contracted syphilis in his youth, and the disease had devoured his nose. He had it replaced with a wax one, and one member of the imperial family told this author that he would see Witte on the quay at Yalta wearing a cap with a long bill, presumely to protect the wax nose from the sun. The present movement for freedom is not of new birth. Its roots are imbedded in centuries of Russian history. 'Freedom' must become the slogan of the government. No other possibility for the salvation of the state exists. The march of historical progress cannot be halted. The idea of civil liberty will triumph if not through reform then by the path of revolution. The government must be ready to proceed along constitutional lines. The government must sincerely and openly strive for the well-being of the state and not endeavour to protect this or that type of government. There is no alternative. The government must either place itself at the head of the movement which has gripped the country or it must relinquish it to the elementary forces to tear it to pieces. Almost everybody I had an opportunity of consulting, is of the same opinion. Witte put it quite clearly to me that he would accept the Presidency of the Council of Ministers only on the condition that his programme was agreed to, and his actions not interfered with. We discussed it for two days and in the end, invoking God's help I signed. This terrible decision which nevertheless I took quite consciously. I had no one to rely on except honest Trepov. There was no other way out but to cross oneself and give what everyone was asking for. As long as I live, I will never trust that man (Witte) again with the smallest thing. I had quite enough of last year's experiment. It is still like a nightmare to me. We are given a Witte, but Trepov remains; we are given a constitution, but absolutism remains. All is given and nothing is given. The proletariat knows what it wants and what it doesn't want. It doesn't want the police hooligan Trepov, nor the liberal mediator Witte - neither the jaws of a wolf nor the tail of a fox. It doesn't want Cossack whips wrapped up in a constitution. 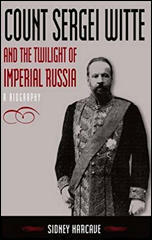 After Stolypin we saw the same position occupied by Plehve, then by Prince Svyatopolk-Mirsky, then Bulygin, then Witte. All of them, one after the other, arrived with the firm intention of putting an end to sedition, restoring the lost prestige of authority, maintaining the foundations of the state - and every one of them, each in his own way, opened the floodgates of revolution and was himself swept away by its current. Sedition grew as though according to a majestic plan, constantly expanding its territory, reinforcing its positions and demolishing obstacle after obstacle; while against the backdrop of this tremendous effort, with its inner rhythm and its unconscious genius, appeared a series of little mannequins of state power, issuing new laws, contracting new debts, firing at workers, ruining peasants - and, as a result, sinking the governmental authority which they sought to protect more and more deeply into a bog of frantic impotence. Plehve was as powerless against sedition as his successor, but he was a terrible scourge against the kingdom of liberal newspapermen and rural conspirators. He loathed the revolution with the fierce loathing of a police detective grown old in his profession, threatened by a bomb from around every street corner; he pursued sedition with bloodshot eyes - but in vain. Plehve was terrifying and loathsome as far as the liberals were concerned, but against sedition he was no better and no worse than any of the others. Of necessity, the movement of the masses ignored the limits of what was allowed and what was forbidden: that being so, what did it matter if those limits were a little narrower or a little wider? Stolypin fell to a revolutionary's bullet. Plehve was torn to pieces by a bomb. Svyatopolk-Mirsky was transformed into a political corpse on January 9. Bulygin was thrown out, like an old boot, by the October strikes. 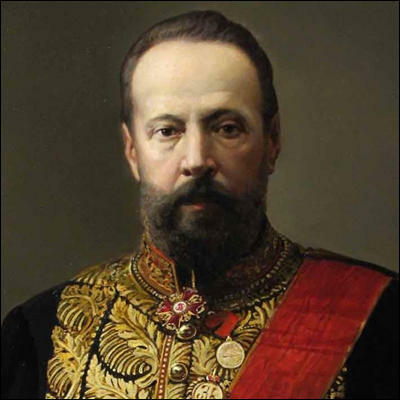 Count Witte, utterly exhausted by workers' and soldiers' risings, fell without glory, having stumbled on the threshold of the State Duma which he himself had created. Count Witte never swerved from his conviction, firstly, that Russia must avoid the war at all costs, and secondly, that she must work for economic friendship with France and Germany to counteract the preponderance of England. Nicholas detested him, and now more than ever; but on March 13th Witte died suddenly. The other formidable opponent still remained. Rasputin was opposed to the war for reasons as good as Witte's. He was for peace between all nations and between all religions. He claimed to have averted was both in 1909 and in 1912, and his claim was believed by others.